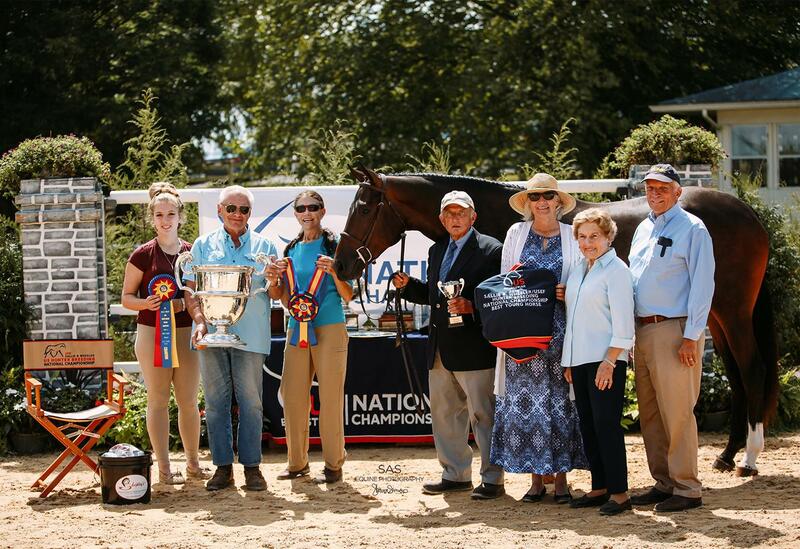 Lexington, Va. - The East Coast portion of the Sallie B. Wheeler/USEF Hunter Breeding National Championship presented by Mr. and Mrs. Ernest Oare, took place on Saturday, August 25, at the Virginia Young Horse Festival in Lexington, Va. 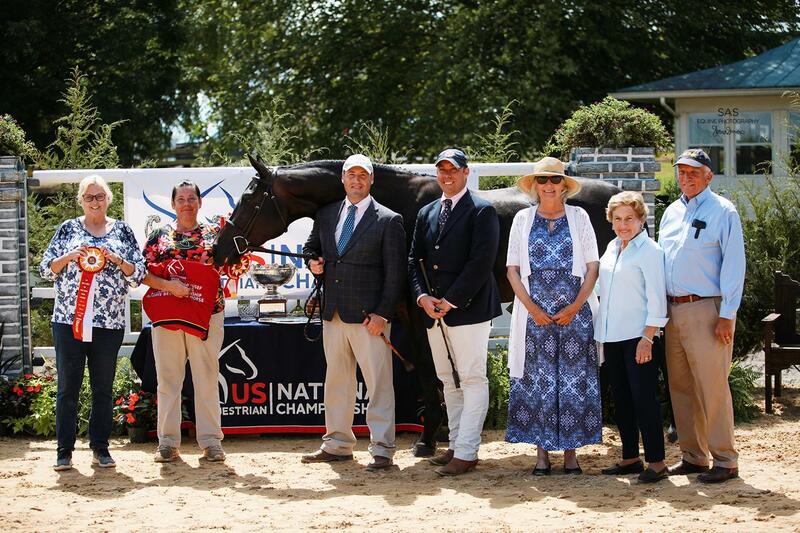 Judges Sue Lightner (Carlsbad, Calif.) and Chris Wynne (Virginia Beach, Va.) evaluated the young hunter prospects and awarded the East Coast Best Young Horse Champion title to Rotiyas. Rotiyas (Rosenthal—Touch of Class) is Susan Tice-Grossman’s two-year-old Oldenburg colt, bred by High Point Hanoverians in Chestertown, Md. Richard Taylor (Montpelier Station, Va.) handled the colt, who also won the Two-Year-Old Colts/Geldings class. The East Coast Best Young Horse Reserve Champion was Reflection (Rosenthal—Pardon Me Boys), Harriet Schiele’s three-year-old Oldenburg filly and handled by Matt Davis. Reflection also won the Three-Year-Old Fillies class. Yearling Colt/Gelding – Cabalero (Cabalito—Allegria), a 2017 Belgian Warmblood gelding bred and owned by Elizabeth Capor and handled by Charlie Brown. Yearling Filly – Quite A Star (Qredit—Feiner Dance), a 2017 Oldenburg mare bred by Margaret Sherman, owned by North Hill Farm and handled by Emily Anne Belin. Find out more about the Sallie B. Wheeler/USEF Hunter Breeding National Championship presented by Mr. and Mrs. Ernest Oare at usef.org/hunterbreeding. Find out more about the hunter discipline and all of US Equestrian’s 29 recognized breeds and disciplines in this Learning Center video. Join the conversation and follow US Equestrian on Facebook, Twitter, and Instagram. Use #JoinTheJoy.